Who wandered far away and soldiered far away. Far from those green hills of Tyrol. They are not the hills of home. Poplar Song sung to the traditional Scottish March, Green Hills of Tyrol. The microfiche room in the National Archives of Canada is a dark, cavernous place, researchers hunkered down in their booths peering at old manuscripts that are backlit with bright yellow light. Some are viewing muster rolls or ancient genealogies, while others are attempting to read letters. Of the latter, their old copperscript handwriting loops and lopes across pages of various sizes, some of it languidly, some of it in ever-decreasing size as their authors ran out of space on what was an expensive commodity in the 18th century. General Louis Joseph de Montcalm’s handwriting would put any doctor’s to shame, a sure recipe for chronic eye strain. I move out into the well-lit reading room which has large windows overlooking the Ottawa River, the purple Gatineau hills of Quebec striding their way northwards on the horizon. The portfolio I’m opening reveals a collection of letters by an author whose penmanship is quite pleasing and much easier to decipher than the Victor of Ticonderoga’s chicken scratchings. The last letter in the collection however is the most eye-catching. It’s by Brevet Lieutenant-Colonel Archibald Gordon, a Scotsman who fought at Ticonderoga on the opposing side under British commander, James Abercromby. Scrawled in the margin are childish doodles: a soldier, a house, a tree. How did they get there, I wonder? Who is the artist? Certainly not the Colonel. The sketches are in pencil and look to be contemporary to the period. And so I start to peruse Gordon’s family correspondence and papers for the period 1740-1762, written by the Scottish soldier while serving in Scotland and Ireland and on campaign in North America and the West Indies during the Seven Years War. 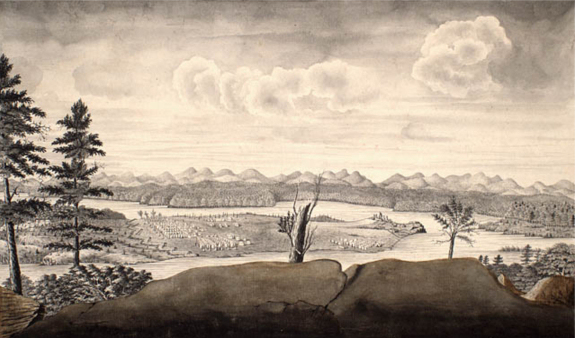 After a day of reading through 107 page collection of documents, which include his attestation papers for Gooch’s Regiment (43rd Foot) specially raised for the 1740 Cartagena expedition, his will and testament made at Fort Edward prior to the Battle of Ticonderoga in 1758, and the Regimental Board of Inquiry conducted after his death in 1762 to settle his debts and effects, I discover who the only culprit can be: “Sweetie Sam” Auchmuty, his six year-old grandson. The chosen medium of the youngster is, in fact, the last letter ever written by Archibald Gordon before he died of yellow fever off Havana in 1762. When Captain Archibald Gordon set sail from Cork, Ireland for America in 1757, he was saying goodbye to all the people in the world he held most dear: his wife “Nell”, his daughter “Bell” and his newly-born grandson, “little Sweetie Sam”. He would be gone for five years and would never see them again. Most letters are addressed to his “Dearest Child” and daughter, Isabella (Bell) Auchmuty and his wife, “Nell” Gordon. Besides containing discussions of family news and financial matters, they also provide an excellent insight on the details of the inner working of an 18th century regiment in North America. Of additional interest is that Archibald Gordon’s son-in-law, whom he refers to in one letter as “the young squire” who married his daughter “without a groat”, but more commonly as “Poor Tom”, also served in the 27th Foot as its senior Lieutenant. And last but not least, his nephew, John Willcocks, accompanies him to North America as a “gentleman volunteer.” This practice was quite common in regiments and was a method whereby young gentlemen with no particular income could aspire to a promotion on the battlefield rather than purchasing a commission. Gordon, against his better judgement, indulged his sister in her desire to have her son become an officer in the Enniskillen Regiment and probably sponsored his candidacy in his own company as a common soldier. It was here that Archibald Gordon and his future commanding officer, William Haviland, also a Captain in Gooch’s regiment, would serve together. It is almost certain he met Colonel William Blakeney, Colonel of the 27th Foot who was sent out to the colonies in 1740 with the rank of Brigadier-General to assist in the raising, organizing and preparing of Gooch’s regiment for the expedition against Cartagena. Blakeney’s instructions stated that all staff and field officers of the regiment were to be appointed by the Crown, company officers by the respective colonial governors, with the British regulars providing one lieutenant and a sergeant as a means of providing good trainers and instant discipline. It is most likely that a young Lieutenant Gordon, perhaps of the 27th Foot, as was Lieutenant Haviland, obtained his captaincy through the recruitment of 100 men, but we cannot be sure. Gordon is not shown on a 1737-38 roll of 27th Foot officers and may have very well owed his commission to the patronage of Governor Thomas. There is strong circumstantial evidence to support a claim that Archibald Gordon was married in America. One of his sisters was a Mrs Philamena (nee Gordon) Taylor residing in Philadelphia (two of her letters are in the collection) and Gordon’s company was undoubtedly raised in “Pennsilvania”. Add to these the fact that 17 years later, his only daughter is married and has a young child. Therefore, Gordon had to be married before he joined Gooch’s Regiment and his wife may therefore have been American. The 27th Foot, an Ulster regiment with a history going back to the Siege of Londonderry, 1689, was sent to Cartagena as a reinforcement battalion in February 1742 and the Regimental History notes that their stay was “hardly more than a roll of deaths from disease.” In just eight months, ten officers and 323 men of the Enniskillen Regiment were interred or committed to the deep. Gordon and Haviland both survived and transferred to the 27th Foot in 1742 when Gooch’s disbanded and the 27th Foot returned home to Ireland to recuperate. From 1742 to 1748, the 27th Foot was quartered in various parts of England and Scotland. 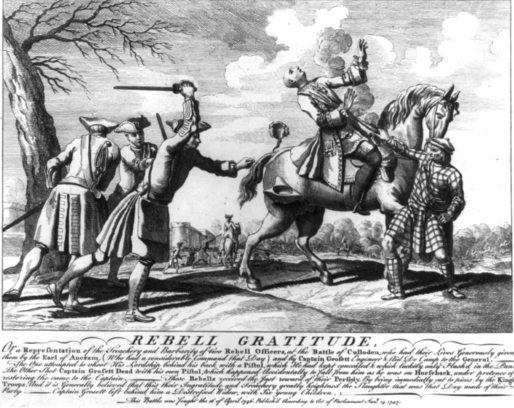 During the Jacobite Rebellion or “Forty-Five”, the Enniskillens were at the Battle of Falkirk, 1745, a humiliating defeat for the British and one in which the Regiment nearly lost its Colours to the Highlanders. As the 27th Foot stood to arms in the reserve, their battalion was swept away in a massive retreat by the regiments to the front. At Culloden, the following year, Captain Gordon and his company stood with rest of their regiment in the third or reserve line and saw little action. The regimental grenadiers under Lieutenant Eyre Massey, another Cartagena survivor, distinguished themselves however, and the Duke of Cumberland promoted Massey to Captain-Lieutenant of the 27th Foot. Massey would eventually be the well-liked second in command of the Regiment when it sailed for America in 1757. In 1753, the 27th Foot were quartered at Kinsale in southern Ireland on the coast and paraded to receive new Colours from the King, each flag bearing their specially authorized device of a three-turretted castle. By 1756, Captain Archibald Gordon was the second most senior Captain in the Regiment and had been bypassed in promotion by Captain Eyre Massey who was promoted to Major 10 December 1755 and by Lieutenant-Colonel William Haviland who had become his commanding officer as of 16 December 1752. In 1757, the Regiment was warned off for duty in the Americas, and thus started the many letters Gordon wrote to his daughter who had just married Lieutenant Thomas Auchmuty serving in the same regiment. It was not an auspicious marriage and one which was probably arranged to save the reputation of a young woman with child. Captain Gordon was now the senior company commander and regimental paymaster, and had to go with it to quarters in and around Cork. They had orders to recruit as they marched south and bring their strength up to an authorized establishment of 700 all- ranks. I don’t doubt Tom Ahmuty [sic] being a good sort of young man, but the Whole Family of them look and enquire into out conduct, and of yours in particular….They are very bad People indeed. They will neither hear or say anything that can displease them. Perhaps my Behaviour when in Dublin might not be altogether insolent with their surly and vulgar way of thinking but I have not repented as of yet. If they imagined that either you, dear Mama or I are to truckle to them and beg alms of them, For God sake, they are really decieved [sic]. In short, I think their behaviour in general betrays very lose [sic] minds, however never heed, I hope God will help us all and render you independent of them, perhaps when we are gone, they will be more civil. This post and the posts between this and Albany, fell to our lot, the garrison for this place was to be four Captains, 12 Subalterns and 500 men. We drew for quarters and out of a hat, I drew this, and tho’ the farthest from Albany, yet from the number together I think, the best quarters, & we live well…. I live quite sociable with six more (Gordon one) in a family way, & are very cheerfull, as you may think, when the first article we laid in for the Winter was Three popes of Madeira Wine, a Hogshead of Irish Claret, & Water Plates. Writing to his wife after Christmas, Captain Gordon, is more concerned with his wife’s and daughter’s situation back in Ireland and gives free rein to his opinions of “Poor Tom’s” family. I think I may safely say when our Bell was unhappily married into that Family, that it was throwing Pearl before Swine, however let us avoid sensility [sic] and treat them with a Silent Contempt and I hope she will be happy in spight of their teeth. I would by no means have her advance a hair’s breadth to make the least overtures or step to an acquaintance but keep of[f] and let them know how much they are contemned [sic]….I think poor Tom is by no means a bad example of the Family. Haviland then went on to offer the services of his senior captain, Archibald Gordon, who “has often Acted as Judge Advocate” and if Appointed “will leave the trouble of sending one.” Rather than alienate the Rangers, Abercromby wisely let the incident die a quiet death as “the created Indians” were needed on the upcoming campaign for intelligence gathering purposes. Thus, Gordon was probably personally relieved that he was not to play the role of hanging judge. Some days later, Rogers’ Rangers straggled in having been soundly defeated by a French force roughly the same size and composed mostly of Indians. Only 54 survivors out of the original 180 that marched out returned and his friend Pringle, with another 27th Foot officer, Lieutenant Boyle Roche, were missing, presumed dead. This is the last letter that Gordon wrote before the Battle of Ticonderoga, 8 July 1758, though his last will and testament is in the collection, written at Fort Edward a few months prior to the campaign starting. It leaves all his worldly goods to his wife, a sum of money to his daughter, and his clothes to his batman. 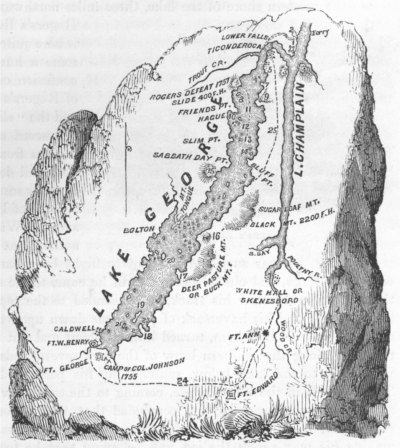 Captain Gordon’s company with the rest of the regiment marched to the south end of Lake George in June and camped alongside the ruins of Fort William Henry, razed the year before by Montcalm’s forces. The 27th Foot, 650 men strong, were brigaded with the First and Fourth Battalions of the 60th Foot (Royal Americans) for the upcoming campaign and Haviland was named Brigadier. Major Eyre Massey was to command the battalion in battle, Captain Gordon acting as the second-in-command and to take over if Massey should fall. The grenadiers of the 27th were among the first British regulars of Major-General James Abercomby’s 16,000 man army to land on the morning of 6 July 1758. Once his POW duties were completed on the evening of the 7 July, Gordon marched his company up to the entrenched camp north of the saw mills on the La Chute River, and prepared for the battle on the morrow. The 650 man regiment was now only 500 strong (less its grenadier company  and its picquet company  which had been brigaded into two composite assault forces.) His regiment was on the extreme British right during the attack on the French breastworks lining the heights of Carillon. Despite repeated attempts over six hours, the British regular infantry could not get at the French defenders because of an enormous number of trees that had been cut down in front of the French trenches to form a massive obstacle. Your very sincerely affect. Husbd. It has pleased God to bless his Majesties arms in America with so many different Conquests and little Blood shed this year that we are all in the highest spirits and hopes of reducing our most cruel and perfidious Enemies to such terms as must make every body easy at least in this part of the World. Ticonderoga and the very strong lines are in our possession with the loss of 16 men killed and fifty one wounded by the Enemies Cannon & Shells. Tom and I narrowly escaped by getting behind a friendly stump of tree, when an eighteen pound Shot Struck the Stump and Almost buried us with Sand and dirt. 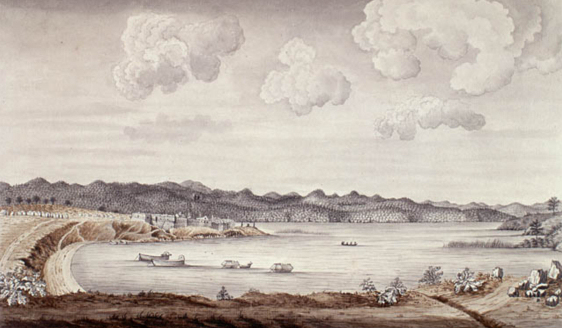 The place I now write from is deem’d an important pass on Lake Champlain, where the enemy had a small Stone Fort [which] was deserted by them on deserting Ticonderoga. Here I imagine we shall stay a week or two till we can be prepared for a long voyage of 100 miles down the Lake to St John’s or Montreal. Niagara on Lake Ontario surrendered to our Army in that Quarter the 26th or 27th July commanded by Sir William Johnson. The enemy had marched a body of Men to raze the Siege when a Strong Party of ours gave them Battle and cut them all to pieces on which the Garrison surrendered, Prisoners of War counting in all near Eight hundred, including those taken in action. We are now in sanguine hopes of good news from Gen’l Wolfe. If he succeeds, I think matters here will be pretty quiet. Now my dear, I write you all this news that you may communicate it with our friends but remember to tell them that we all love and admire our General. We are all very well, no Alterations in our Regiment except among the new Comers that neither dear Mama or you are acquainted with, vizt. Capt Skene is made Major of brigade, Mr Daly a Captain in the Royal Highlanders, Ens[ign] Elliot a Lieut. in the same Regiment. All others are well, tell the Denis’s we are going to give honest Pringle his Liberty, so much for news – Tom fags on, Jack Willcocks does very well. I live in hopes of rendering you and ourselves independent, especially you of your new allies…. …I hope you are perfectly recovered again and come to your beef Stomach as you know I never liked fine Ladies. The Steps you took relative to Jephson’s Compy I perfectly approve of, but I declare for my part I expect nothing but insolence and obstinacy from that Quarter nor would I advise you. I am endeavouring to render you independent as far as possible and to put you on a respectable footing. Can any Parent justifie his not embracing so fine an Opportunity of providing for his son, when so great a bargain offered, vizt. A full Company in an Old Regiment for £300 when in fact the current price here is £600 difference. The Old _________ has wrote to his son charging him with underhand measures, the contrary of which you must know and at the same time telling him If he did advance the money he expected Security from his son as his finannces were greatly contracted, and wants to know why his Father in Law [Major Gordon] does not advance the money as he is now Major and Paymaster (he is mistaken with regard to the latter employment). Now I say badershin [sic]. If his Father in Law can scrape a little money together, I promise him it is intended for a much better care vizt his own Good Child and not to throw away upon him or his worthless family. Just now the general sent me a letter he rec’d from My Lord Barrington Secretary of War where in he says the price of Jephson’s Compy is to be fifteen hundred Guineas and first offers it to the Regiment. The purchase system of promotion has been frequently misunderstood and perceived as an unfair system which only favoured rich members of British gentry. In fact, was controlled with a finely-tuned series of checks and balances. From 1720 onwards, the sale of commissions was a closely regulated business. An officer wishing to sell his commission (an actual investment on his part, as officers received no pensions) did so at a regulated tariff price, and was obliged to offer it to the man with the most regimental seniority in the rank below him. If that officer was unable to buy, the commission was offered to the next most senior, and so on. The purchaser got the rank, but not the seniority of his predecessor, thus becoming the most junior captain, lieutenant or ensign in the regiment. When a senior officer or captain was killed in action, a chain reaction began which might reach down to the youngest “gentleman volunteer, serving in the ranks like Jack Willcocks until a vacancy occurred or, into civilian life where a young gentleman was waiting in line for an opportunity. Of course, preference was given to nobility or candidates who already had family members serving in the same regiment. I rec’d yours by Capt Blair which gave me great pleasure to hear your good Mama & you were Weel and have taken the very first opportunity to answer your letter, and to let you know that we have had the Satesfaction of hering from My Brother since the Reduction of the Ile aux Noix, he was very tired, and he is always anxious about his Famely he desired I would let you know as soon as Possible that they had escaped Safe & Sound. I most Sincerely pity Every body who have Friends in the Army as I am sure they must suffer a great deal of Uneaseness at this time of War, but we must Comfort our Selves with the pleasing Prospect of Peace which I hope is not far of. Since I wrot the foregoing we hav the agreable news on the Surrender of Montreal to the British troops without any opposition. I congratulate your Family as I think you may be quite Easey about your Friends on this Side of the Water, as all Canada is now in Possession of the English and a most Noble Conquest it is. I am dayly Expectation of hering from your Papa from thence, once more Dear Cousin, Adue. 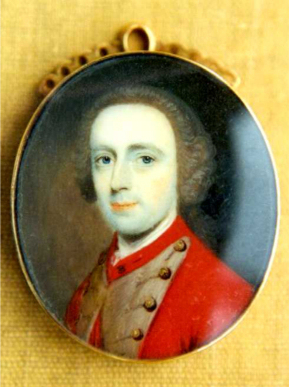 By 16 May 1761, the strain of command and responsibilities finally began to weigh heavily on Major Gordon as he wrote from Crown Point to his wife Nell: “I am heartily tired of America and indeed, no wonder, as I have always been kept in the desarts [sic]”. He went on to reveal that he and his nominal commanding officer, Lieutenant-Colonel Haviland, had not been on the best of terms over the winter months. Pringle is in New York at present, Mr Moore the bearer of this goes to conduct Mrs Haviland to her dearly beloved….She is to be settled here, how she will like that I shall not presume to say. True, she will be the first lady at Crown Point and possibly the only one. The Gentleman and I have little or no correspondence together but I have at least got rid of him and we have got our old Acquaintance Colo Massey again with whom, I dare say, we shall be extreamly comfortable…. 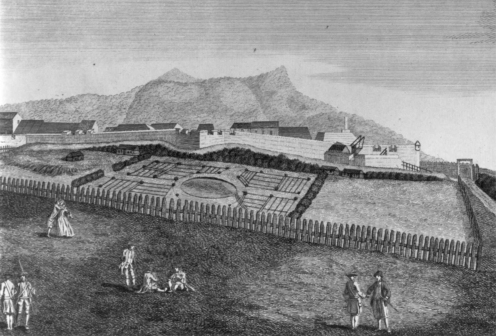 By the final conquest of Canada, a large proportion of British troops in North America were set free for service in other parts of the world and the British government decided to employ them in the West Indies against the French “Sugar Islands” of Martinique, Cuba and St. Lucia. In September 1761, eleven regiments, including the 27th Foot, and a few companies of American Rangers, were concentrated at Staten Island, New York under the command of General Robert Monckton. Not only was the war for Gordon to contunue, but he was to return to a unpleasant part of the world he already had experienced some 21 years earlier in his youth. 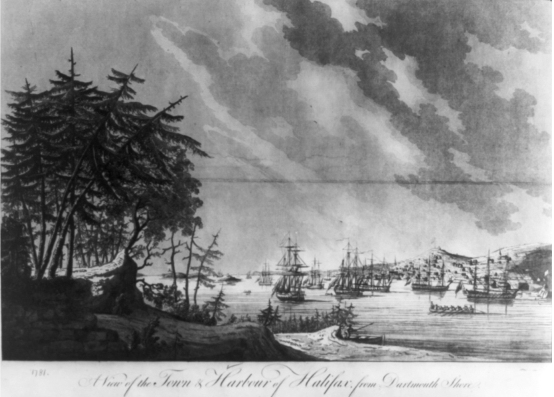 The regiment sailed in convoy at the end of October 1761 for Barbados and took part in the successful capture of Martinique. Major Archibald Gordon replaced Lieutenant-Colonel Massey in command of the elite grenadier battalion cobbled together from the British regiments present when the latter officer was seriously wounded in action. For his efforts, Archibald Gordon was made a Brevet Lieutenant-Colonel and given battalion command of his regiment. Twenty-six days later, after a bite from a single aedes aegypti mosquito, the hardy Scottish soldier was dead from yellow fever. A regimental court of inquiry was convened consisting of three officers, Gordon’s friend, Captain Henry Pringle, his son-in-law, Captain Tom Auchmuty, and Lieutenant Robert Blakeney, to settle his debts and dispose of his “possessions and effects”. His will, written before the 1758 Ticonderoga campaign at Fort Edward was discovered among his belongings. In it, he left everything to his wife Nell, a small amount of money to Bell and ten pounds and his clothes to his batman. His son-in-law, Tom would succumb to the yellow fever a few weeks later, leaving his daughter a widow and one would assume, penniless. A shorter, annotated version of this unpublished book chapter entitled “Men of the 27th Foot: Two Portraits”, first appeared in The Bulletin of the Fort Ticonderoga Museum, vol. XVI, no.2, (1999), 119-151.